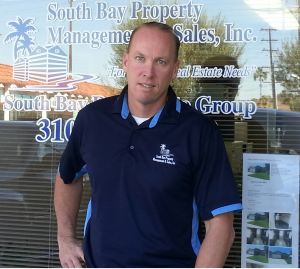 Hello my name is Tim Kelley, owner of South Bay Property Management & Sales, Inc (a division of South Bay Real Estate Group) in Torrance, Ca. From first-time home buyers to long-time property investors, I can provide you with reliable and professional real estate services. Free consultation: Have questions or need advice? Call us at (310) 561-8883 today, Email us, or stop by our office and we will be happy to provide you with the information you need. Buyers: Our 3 step process will ensure success in locating that perfect property. Sellers: When listing your property our goal is simple—sell your property for the most amount of money in the least amount of time. We are constantly monitoring the market trends to competitively price all of our listings. Mortgage Lending: Need to refinance your property or purchase a new one? Call our Loan Department at (310) 561-8883. With today’s great rates, now is the perfect time to refinance. Tired of paying high desk fees and receiving low commissions? Come join our team! To learn more, please call us today at (310) 561-8883 or contact us here.